New mini book available from Magcloud.com. Blessings to you and your family as the new year brings comfort and hope to those who have lost so much. Excited! My image "Dream Falls" won best in Black and White Photography category at the Sacramento Finearts Center Visions 2018 Exhibit. If in the area please stop in to see my work and all of the other wonderful art on display. The show is open till Nov. 18, 2018. Excited to have six of my images from Monument Valley included in the LensWork 2018 Seeing in Sixes book! Something a little different! Trinidad, CA pier, Infrared Black and White. Always fun to try new things! Is this near to where you live? A pleasant and relaxing relief from all the fire pictures lately! My image "Embedded" received a Merit Award and the Viewpoint Photographic Award at the 2018 California State Fair. I also had two other images accepted into the show. Today is the last day of the fair. Good for you, Gary!! Keep creating!!! What would be "bad" conditions for others actually enhance your long captures. Gary Wagner Photography updated their profile picture. Reminds me of a winter scene back in Western NY! You look cold, I love your photographs. Two of my images are included in the latest issue of Black & White Magazine. “Redwoods Morning Light” and “Surf and Sky”. This issue is one for Single Image 2016 winners. This is the fifth time I have been published in this magazine. I am honored and thrilled to have a portfolio of my Redwood Coast Seascape images included in the November/December 2015, issue #121 of LensWork Magazine. LensWork is the premier magazine for black and white photography and is available in print and digital issues. 13 of my images are included in the print edition and 31 images in the digital edition. I have been a subscriber to this magazine for over 20 years! Black and White Magazine Portfolio Excellence Award, Sierra Snow Photos! Black and White Magazine published four pages of my Sierra Mountain Snow photography in the June 2015 issue. All of my featured snow images are from the Sierra Mountains in the Truckee and Lake Tahoe area and were taken in the last two years. I have been photographing in this area for the last ten years and love all of the seasons and the images they bring. During the last few years the snow level has been less than usual allowing me to get to places I normally would not be able to reach in the middle of the winter. I have seen Sierra snow over 10 feet deep in the peak of the season making travel difficult and covering up many of my favorite land and water features under a thick blanket of white stuff. I do on many occasions use snow shoes to reach locations off the road but travel is slow and cumbersome. Strawberry Rock Gallery – Trinidad Ca. Strawberry Rock Gallery, Trinidad, CA. The Strawberry Rock Gallery in Trinidad, CA. 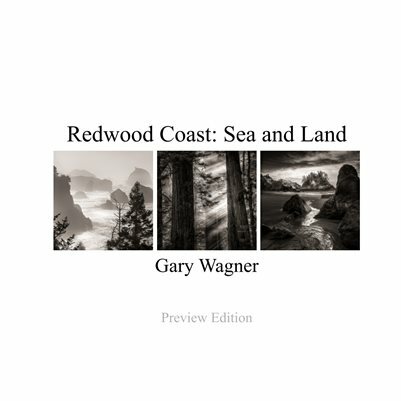 will now be showing my black and white Redwood Coast images. This is a beautiful new gallery opened in 2014 in the center of Trinidad. Trinidad is located on the North Coast of California close to Arcata and Humboldt State University. If in the area take a drive up to this charming community and stop in at the gallery and see my work on display. “Seeing Through the Lens” is a photography show sponsored by the Sacramento Metropolitan Arts Commission and the Viewpoint Photographic Art Center. My image “Clouds and Surf” taken on the Trinidad, Ca. coast was featured for this exhibit. The exhibit will be up till March 3, 2015.